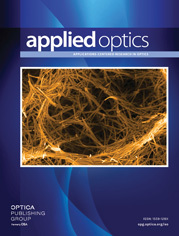 Optical traps have been used in a multitude of applications requiring the sensing and application of forces. However, optical traps also have the ability to accurately apply and sense torques. Birefringent particles experience a torque when trapped in elliptically polarized light. By measuring the frequency content of the exiting beam, the rotational rates can be set up in a feedback loop and actively controlled. Here we describe an optical trap with feedback torque control to maintain constant rotational rates despite the introduction of an increased drag on the particle. As a result, this research has the potential to advance the understanding of rotary motor proteins such as F1 ATPase.